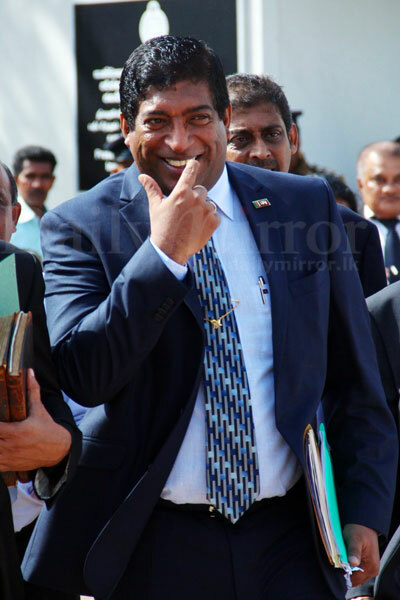 Foreign Affairs Minister Ravi Karunanayake, who appeared before the Presidential Commission of Inquiry into the Bond Issuance, said he did not know that the penthouse he and his family were residing in for nine months was paid for by the Perpetual Treasuries (PT) Pvt. Limited owned by Arjun Aloysius. At the cross examination of the Judges at the Commission today, the Minister said he only came to know of the payments when the issue was raised in Parliament. He said that Aloysius had paid cash through his company as the owner of the residence did not want to lease out the penthouse to a politician. The Minister said he didn’t play any role in the transaction and that his wife and the daughter were the ones who found the house. "I knew nothing," he said. When asked whether he knew Perpetual Treasuries was paying for the penthouse, he said he wouldn’t have settled in the house had he known due to the ‘conflict of interest’. 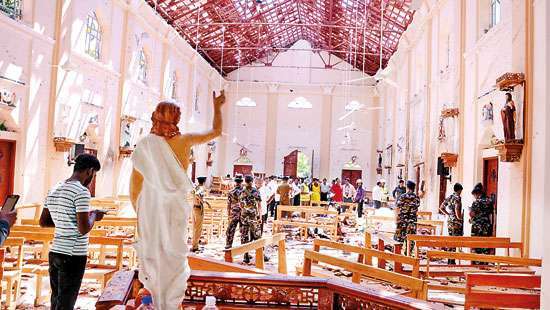 In Sri Lanka its easier to get away with corruption worth billions and day light Murders if you say just two things in courts "Mata Mathaka Ne" "Mama Danne Ne"
oops!! i don't remember where i was staying the past few months..was i staying with another family?? Recently the President said, he wouldn't stay in an unclean government. As an anti corruption initiative Could the Daily Mirror commence an sms campaign to the President to get rid of corrupt politicians. 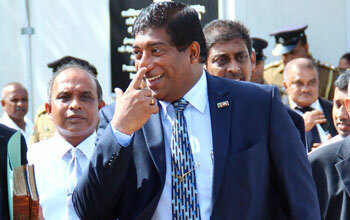 Is he a relation of Duminda de Silva? Did RK think the owner allowed his family to occupy the apartment free of rent? I wonder as FM if he knew SL has to pay back the loans he obtained; or does he think that too is free? If the Presidential Commission cannot take any action, leave him to us - we know what to do. Hay Ravi, do you think SriLankans are fools and wearing ear studs and keeping flowers on their ears. Ravi for your age, professional qualifications and position, shame of you man lying like a small child. He should be struck off Chartered Accountants register simply because of his diminished mental capacity. He does not know even where he lives. POOR SHOW BY A MINISTER. FOR SO LONG AS 9 MONTHS HE DID NOT KNOW HE WAS STAYING FREE IN A PENTHOUSE. He was in deep sleep and he is still now. After travelling from Maldives ! I hope he knows that ignorance is not an excuse. I think this "Duminda "Syndrome is now spreading rapidly among the Politically exposed persons.The silly and irresponsible answers like "Don't know","Don't Remember" ,should not be an excuse for these types of rogues. It's better if he can go and ask from his wife is there any other secrets hidden from him.We should not be surprised if the council found all 225MPs got involved to this scam when end of the investigation. A great country Sri Lanka. Ministers do not know who owns his house, business tycoons do not remember passwords and murderers do not remember shootings. This is nothing, but "shamelessness". His preparation for his defence which took more than 5 days - with even a visit to Maldives (so it is said) - does not seem to hold water. In fact he is in hot water ! THERE IS NO HOT WATER IN SIBERIA - (as said in the film 'Silk Stockings" ! OMG! are you serious. If you don't know who is paying your rent how could you have been the Finance MInister of an entire country. Mr Faulty, I know nothing! When the only answer possible is "I know nothing" then it is certain that there is no escape. It is a pleading rather than a defense. He is well and turly caught.. The next question is for Arjun Aloysius. Why did he pay someone else' s rent? will he kindly pay mine as well? Well said, couldn't stop laughing. Mother or Daughter!! is the question to Arjun Aloysius!! Paid it in Kind as well ? please Ravi. don't spoil at least good governance's last left.
" knew nothing," he said.-- suppose staying in such a "HOUSE" was just ordinary for Ravi - compared to his live style - and naturally did not make him think, questioning of how the money is coming to pay for residing in this "HOUSE" (in the first "few" months) and later for the purchase. ! LIAR ! Someone who doesn't know how his rent is paid, is not suitable to have a ministerial post. Pls get lost Ravi !!! The following synonyms seem applicable in this instance :----deceiver, fibber, falsifier, teller of lies, teller of untruths, perjurer, false witness, fabricator, equivocator, prevaricator, spinner of yarns; --- I am lost with words. All these allegations are wrong. Rajapakse's are trying their best to topple this yahapalanaya government by framing Hon. Ravi K. I am not saying Ravi is a real clean person, he might have some bit of wrong doings in the past. But comparing with present politicians, I must say RK is a person who can do some great things towards the country. Now the billion rupee question - Who has the balls to sack him??? RW: PL. remove him from Cabinet position immediately. This is a disgrace to the UNP also. There are elections close by : 3 to come before 2020 . Typical SL Black Coat guidance, common in Courts, with nopublicity in the media, however the same with a CoI cantake a different turn - it must. Hiding a truth is an offence under penal code. He dares to tell this con story under his opinion that Sri Lankans are fools. Nothing could be further from the truth. Not a soul in the World will believe that the Minister and his family were living in a Penthouse not knowing who was paying the rent for nine long months !! 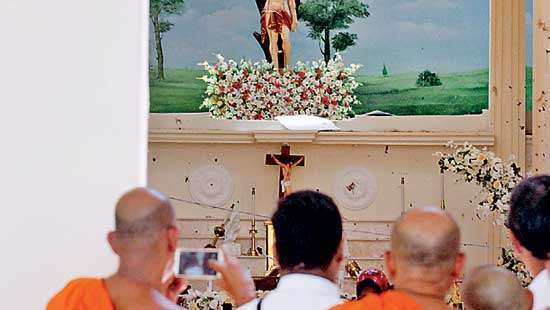 මම දන්නේ නැත. මට මතක නැත!! Case over! kalaas, finito! If this bizarre defense is accepted by this commission then it would set a precedence where "I know nothing" will have to be accepted as a valid defense in every case in the future. Sri Lanka will no doubt will be a paradise but, a paradise for crooks. Please, please believe him what he says!Even he does not know who is paying the cost of the repairs his own house which is being done now! No doubts. This gang will continue to appear on forth coming elections and even win. How careless our people wasting their votes for this kind of people. ceylon must be in the crooks payroll to write such stupid comments. These types of excuses are good for Kondey Bandapu Cheenunta. What is this? First you par took in a robbery, now, you are lying to cover it up. Shame on you Pal., Please resign without any more lies. What more can we expect from him other than a DIABOLIC LIE. Incomprehensible answer. The former finance minister (finance minister!!!) and head of the household does not know who is paying for his accommodation??? If this is all he has an excuse, he is already guilty as charged. By the way, this is is just scratching the surface. He should have billions hidden away elsewhere. Just one who has been caught with his pants down. Unfortunately for Sri Lanka, majority of the politicians are super corrupt and they all are in it together. Ravi's wife and daughter should be summoned by the commission.Its amazing, your wife and daughter provides you with a super luxury apartment and you don't ask how much it cost? The good wife and daughter does not bother man by telling him the cost.Anyway why should they tell him when someone else foot the bill. . Your Honour, Words fail me. I rest my case!!! Alice in wonderland, Aesop's Fables or Grimm 's Fairy Tales? This is getting " curiouser and curiouser" as Alice said. Can't decide whether it's a comedy or tragedy!!! President and prime minister has very reason to ask ravi to step down from minister post and also leave politics.Will they do it or poor public to come on road. Oh ! He knew nothing, he is innocent and not fit enough to hold a Ministerial Portfolio if he does not know who pays his rent. President was right in sacking him from Finance (with Lottery).Now send him to the Bribery Commission.This is one of a trio that ridiculed the Forces to demoralize them and encourage the LTTE. Made in USA. Is he Jon Snow ? See nothing, hear nothing, know nothing and say nothing. See how pathetic we Sri lankans are....We had a Finance minister who didn't know about his domestic finances....but was entrusted to manage the countries finances......sin no? Does Ravi Karunanayake know who his wife and daughter are? May be, he has made the things simple. Now the government should call he wife and daughter and ask whether they know any thing about. If they also cant remember, Then the government could ask the real owner to appear with evidence. If there is no owner, the penthouse should be acquired and handover to CB to auction. This fellow should be hanged to a light post in public. DOES HE REMEMBER GETTING BEST FINANCE MINISTER AWARD ? Have many regrets knowing this guy. Guys get together ,we will have to chase this crook out of any post in the government. MS - Time to show your balls man!!! If the previous government was not there even your ashes wont be there by now! Oh, what a crook. He should now immediately launch a domestic inquiry against his wife and daughter to find out why Arjun Aloysius was so keen to pay his rent without his knowledge. Any other things "without his knowledge" ? If Ravi is not aware who paid the rent, then he should also be charged for illegal encroachment and trespassing in the apartment..
Why Aloy paid so much money in Rent for Ravi's family to stay was it in response to any cocaine deals along with the sugar containers. This is like Snow White story!!!!! ha ha ha and PM to step down? Innocent and not guilty in court.didn't know any thing about it. ?A man who knows everything doesn't know anything about who paid the rent for his accomadation and sale even after 9 months.what happened to your intigrity and honesty. will the public ever believe you, although the courts are accepting your total denial of the allegations. Honestly I am a strong UNP er but never seen such a dirty man who wears full suit and lies like this. Some one said he did not know who paid his house rent for months ,he is a liar or insane.Not suitable for any public post even a peon. As an anti corruption initiative could your news paper launch an SMS Campaign to the President to get rid of corrupt politicians. Ravi K is touching his nose while saying this! That is a sign that he is lying. Ravi K and Ranil should both resign immediately. A man who is not aware of something of this magnitude happening within his own household is not fit to be involved in running the country. He needs to go immediately. He is a disgrace. And what's more, his wife and daughter should be questioned immediately on their nice little arrangement with AA. What a thoththa baba he is! Not only should he go, but the PM too. Out of all comments made so far this is the only sensible one noted! 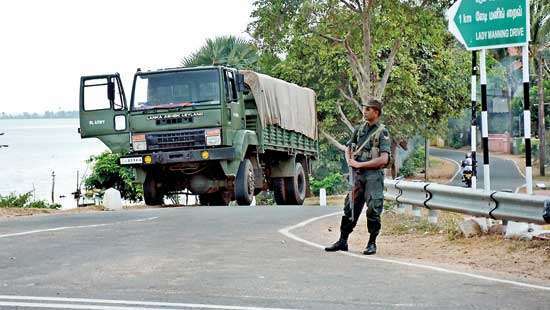 Looks you are now back from Angoda! Hot water means : He is on the way to get cooked like a prawn! Sad to note how very neatly our former FM has pushed his wife and daughter under the bus. A real man would have owned up and resigned. 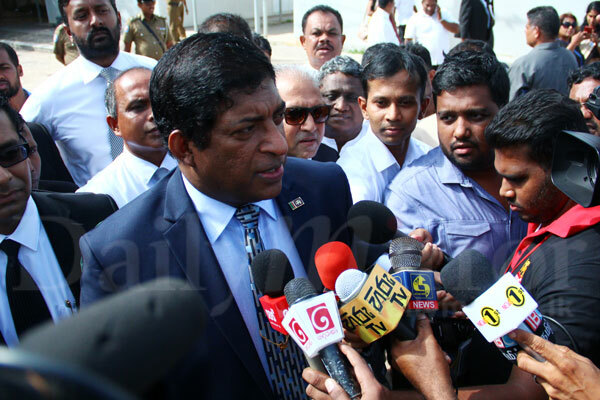 Mr President - Let the public decide Ravi's fate in politics by arranging a voting campaign. Lets see whether he gets more or less votes for his involvement in politics. The staggering amount of comments received for this news item indicates how keen the people are to know the truth, which is quite understandable.The commission referred to one witness as an "outright liar". This applies to RK as well. This is as low as it can get. Please remove the Sri Lanka flag lapel pin from your coat. It's a disgrace to it. Yahapalanaya we are waiting for your decision. @Asanka "Yahapalanaya we are waiting for your decision." Then you are day dreaming. Even tomorrow MR forms a government, nothing will happen to Ravi. Just like Basil under this government. VERY SOON HE WILL SAY,HE DOSE NOT KNOW HE IS LIVING IN SRI LANKA AND FOREIGN MINISTER OF THIS COUNTRY. Shamless man I ever seen.Shame on you! Shame on you!Shame on you!The people who voted him and still trying to protect him.One of another yhahapalana ministers had asked 200 million to approve a project. Lying man cannot progress beyond the gate ! Yes!. When you politicians are caught red handed you cant remember or don't no nothing. You staying a penthouse but you don't know to who it it belongs or who pays the rent.Sham on you Mr. RK. If you have any shame left in you please resign from all political posts you are holding. It is not only RK. PM. Mr.Clean aka James Bond who spoke in Parliament on this issue is the master mind. He brought AM and nearly prevented the Pres from appointing the present Gov. of the C.Bank. Mr.Clean should be sent for dry cleaning soon although he appears to be innocent. Commissioner of Inland Revenue,Please check how this payment on behalf of RW, is being accounted in books/returns of the person paying it. I am ashamed for voting for this Government.Mr President and Mr Prime Minister, if you'll fail to take any meaningful steps immediately to get rid of all the bad eggs in your Government, dont expect us to vote for you at any of the future polls. Sorry not Rw, it should be RK.